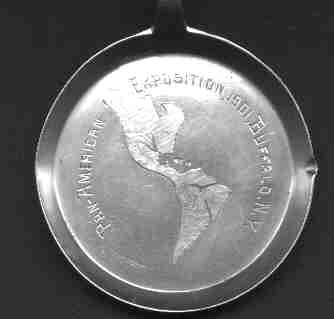 The purpose of the Pan Am World Fair was to promote trade relations with Central and South America. The fair was off to a fairly slow start, but President McKinley went to the fair and was shaking hands with the public, when an assassin fired a bullet which eventually killed him. Afterward the fair was much better attended. 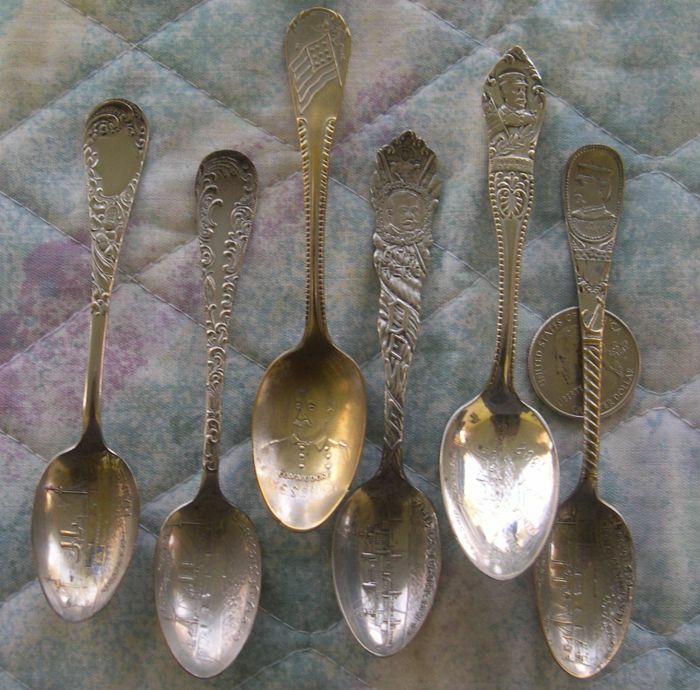 A link to the McKinley assassination spoons is provided near the bottom of this exhibit. 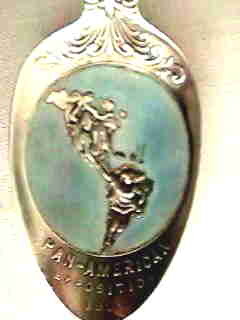 Bowl shows the linking of North America and South America surrounded by a light blue enamel. 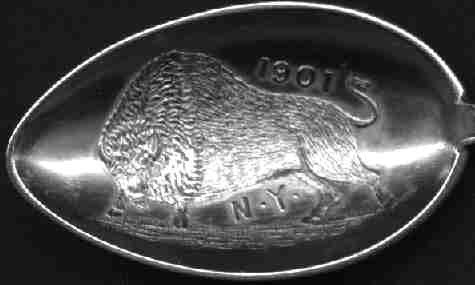 A very unique spoon featuring a buffalo with red eyes (rubies? glass?). Although it is not marked as being from the fair, I suspect that it is a fair souvenir. This hand made spoon is an interesting mix. 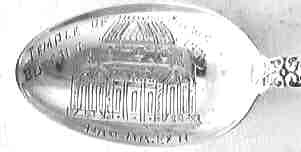 The finial shows the Mexican eagle with a snake in its mouth and the bowl is engraved from the Pan-American Expo, Buffalo, 1901. There are no markings but I suspect it is Mexican made for resale at the fair. 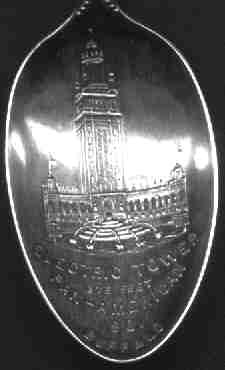 The Electric Tower was the most visible element of the fair and is commonly found on spoons. The use of electricity was a new phenomenon and anything related to this "miracle" was the subject of much conversation.